I would like to thank you for being here, thank also my colleague and friend Alexandre Leupin for inviting me in this great university, although with my poor mastering of the English language, it might be a bit difficult for everybody, first of all me! Of course, you cannot speak about the history of Africa, which spans over millions of years, in a one hour conference, so I chose some topics that might be of interest, three questions only, one in the far away prehistory, one in the Neolithic times (the Bantu expansion), and one in the recent times (the economic situation of Africa in the last 150 years). The first question is about the origin of humanity, most prehistorians agree on one thing, the origin of humanity is in Africa, and Mankind emigrated from Africa to people the whole world. It has always seemed a bit strange to me that we know so little about our own history. If we compare to the Space, the outer space, the other galaxies and the universe, it seems natural that we know so little about it, but about our history? Prehistorians disagree about most things, competing theories are fighting. Of course the reason is simple, it’s because writing was invented in the Middle East only about 4000 years ago, and we have to understand a 3 million years or so history and we don’t have much, except remains and artefacts. But still, it’s a bit frustrating, to be lost in such a way. But let’s start with what we know for sure. Some 3 million years ago, the proconsuls of Africa gave the first hominids, in the savannahs of the East. Then, the formation of the Rift, a collapse in the Earth’s crust, would transform these hominids in bipeds, looking for food, while in the forest in the West, no adaptation was necessary. That is the East Side Story of professor Yves Coppens. Standing allows to see from afar the predators, it frees the arms to carry loads and use the first tools and weapons, hands start to be use in very different ways, and not only to grasp a branch or run along the ground. Moreover, standing avoids the heat and the sun to cover all the body, but only a small part and the biped can stand longer active in the day, hunt on greater distances, and get in that way more food than most animals. And being higher means having less heat than close to the ground, the wind being stronger and the humidity less. And having a better cooling system, the brain could grow. Charles Darwin was the first to formulate the idea of man’s origin in Africa. The rightness of the idea has been proved by the abundance or remains found since. 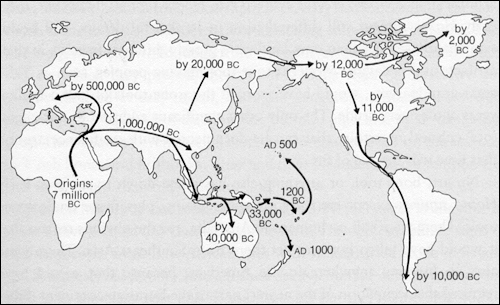 East Africa is the cradle of humanity, and from there Homo erectus peopled the world, from one million years towards Asia, half a million towards Europe, 40 000 years ago towards Oceania, and 12 000 towards the Americas (see map). Homo habilis (-2M) is the one using tools; Homo erectus (-1.8 M) is the same with a larger brain; Homo sapiens appeared about 300 000 years ago still with a larger brain, using fire and making sepultures. Finally, our species, Homo sapiens sapiens, appears about 70 000 years ago (Cromagnon man). 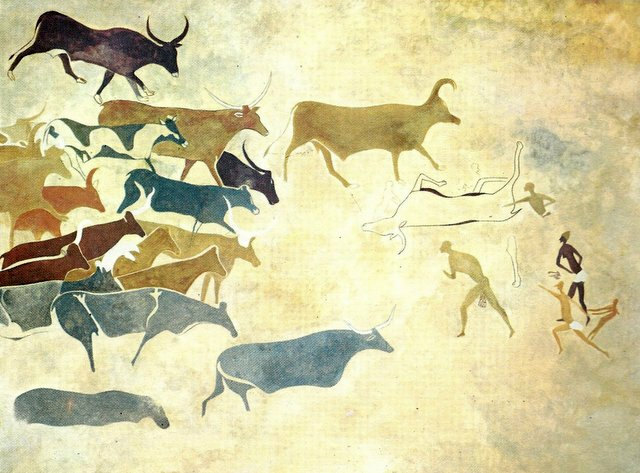 It is the time of a great leap forward, because of the apparition of languages, and also jewels, hooks and harpoons, spears, bows and arrows, ropes, houses, stitched clothes, and of course art, prehistoric art like we see in Lascaux or Altamira. Homo sapiens sapiens also appeared first in Africa and from there peopled the rest of the world. So, we have in fact, which is little known, two different waves of emigration out of Africa. The first is the one of archaic men, Homo erectus type, one million years ago, of which the descendants, Neanderthal men, peopled Europe until the arrival of Homo sapiens sapiens. Homo sapiens sapiens left Africa about 70 000 years ago towards Asia and other continents, and in a very small number, maybe only a few hundred at the beginning. The same DNA has been found in all populations outside of Africa, which has the origin in that small group of people. In Africa itself, now, the diversity of DNA is much greater than in the rest of the world, which confirms the idea of a small population of pioneers, leaving Africa across the Sinai desert towards the Middle East and the rest of the planet. They met the Neanderthal men in Europe, coming from the first wave of migration, nearly a million years before, and that will lead to the disappearance of them, even if they mixed. When I was at school, in the 1960s, nobody taught us anything about African history, maybe some about colonization and empire, yes, but not much more. Perhaps it’s different now, and especially here in the US, I don’t know, but all seemed at the time like Africa had no history. And working and reading about it, I learnt a lot and had to fill the gaps. The Bantu expansion in Africa is a good example. But we have to start with the birth of farming, the apparition of agriculture and breeding, the Neolithic revolution, about 10 000 years ago. It is the first economic revolution, before the one we live now, started with the industrial revolution in England and Scotland in the 1760s. The Neolithic revolution took place first in the Fertile Crescent, somewhere in Anatolia, around 8000 years BCE, with wheat, peas, olives, sheep and goats. 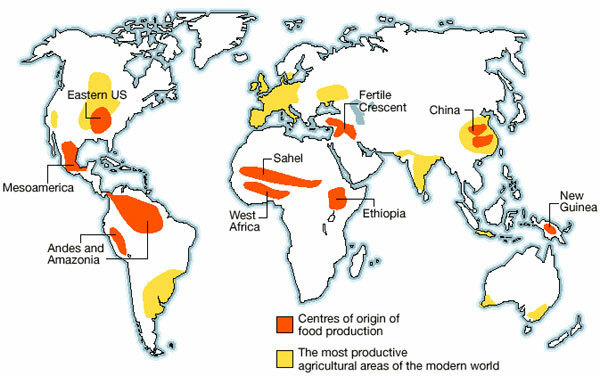 The main areas of the world where agriculture appeared in an independent way, and not by imitation or contagion, are after the Fertile Crescent: China, around 7000 years BCE, Sahel and West Africa, the Sahara (green at the time) and Ethiopia, around 6000 BCE, and finally Central and Andean America around 3500 BCE. The great desert was green from about 9000 BCE to 2500 BCE, with a mixed population, Caucasian and African, at the end of prehistory and at the start of the Neolithic revolution. Much later, Africa south of the desert entered the Iron Age around 700 to 400 BCE, a revolution in the tools and the weapons used, more efficient than the stone ones used before, leading to an increase in food production and a demographic expansion. But the latter started well before with the invention of agriculture, especially because of an increase in natality. In the nomad life of foragers and hunters, it is impossible to carry more than one baby at the time, when they can be numerous in the sedentary village. Births have to be distant from one another, this ceases to be the case with farmers. So agriculture at the beginning is limited to West and East Africa, central Africa and southern Africa are peopled by hunters, gatherers and foragers, all of them being pushed back slowly by the Bantu expansion. 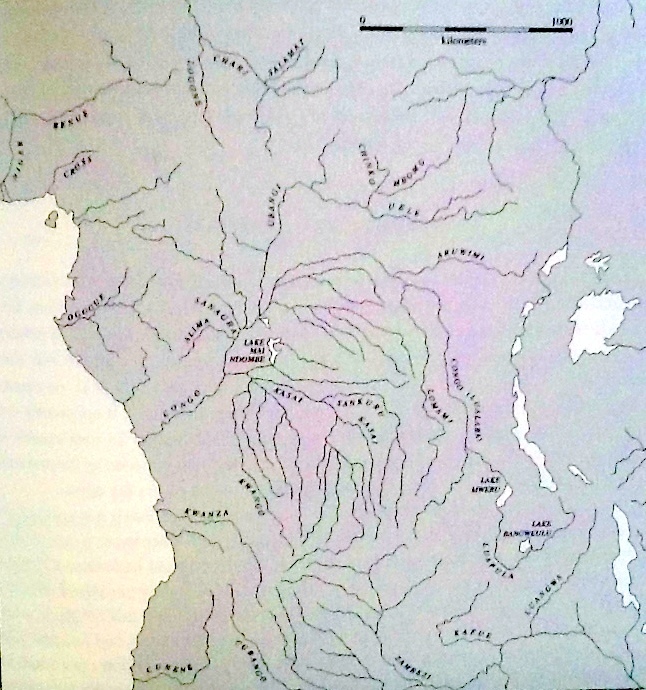 At the beginning, the Bantus lived a sedentary life between present Nigeria and Cameroon, some 5000 years ago, farming, breeding, fishing and hunting, at the margin of the great equatorial forest. The word itself ‘bantu’means people, and we find the same basic language from Cameroon to South Africa, Central and East Africa. It shows a long migration, starting from the initial cradle, a migration that can be explained only by the superior techniques of the Bantus: agriculture, breeding, but also potery, weaving, and finally iron working, compared to the hunting and gathering people. After this expansion of several millenniums, Bantu people live in Central Africa, south of West Africa, Southern Africa and East Africa south of Ethiopia, lighter green areas on the map. It is more like a gradual advance, a migratory drift, which accelerates in the end, when iron was adopted about 2500 years ago. Jared Diamond (1998) speaks of “a military-industrial package impossible to stop in the equatorial Africa of the times… In a few centuries, in one of the fastest advance of close prehistory, the Bantu farmers occupied all South-East Africa down to Natal.” They brought also malaria, to which they had become resistant, but which decimated the Hottentot populations. In the forest, the Pygmies were contained in reduced area, because of the iron tools of the Bantus that allowed them to clear the land. Finally, we leave the Bantu expansion to come to recent times, say the last two centuries, which saw in Africa the end of the Atlantic Slave Trade, between 1807 and 1860, the colonization, from 1880 to 1960, and Independence since. Africa is the poorest continent and we have to try and explain why. To my eyes, the explanation is Geography. Not Slave Trade, because if Africa had been more developed, Slave Trade could not have taken place, nor colonization, for the same reason. Colonization was possible because imperialist Europe had the technological means (weapons, machines, ships) and the economic means that Africa had not, otherwise it could have been Africa taking slaves in Europe and finally annexing its territories. Remember the word ‘slave’ comes from Slavs because the Muslim empires took slaves in Eastern Europe, as well as in Africa across the desert and alongside the East African coast, for more than a millennium. The lagging of Africa precedes and explains both the Slave Trade and colonization, not the other way round. 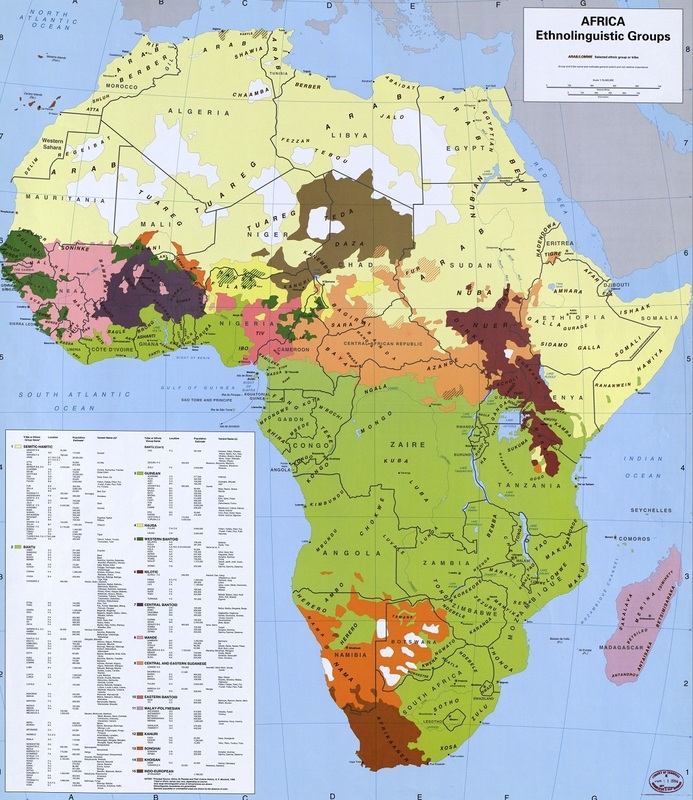 The first geographical explanation is that Sub-Saharan Africa, surrounded by oceans and deserts, lacks an orientation towards the other continents. It is less isolated than Australia or America, but it is still very much isolated compared to Eurasia and North Africa, with oceans at the West, South and East, and another ocean at the North which is the Sahara itself, always assimilated in history to an ocean with its ports of departure and arrival, and its long crossing, which took two or three months. So the great discoveries of the Middle East, the Fertile Crescent, like writing, money, the wheel, that could propagate easily towards the East (India, China) or the West (Mediterranean Africa, Europe) had more difficulties to go south, towards Sub-Saharan Africa. Europe at the contrary is a peninsula (of Eurasia), a peninsula made itself of different peninsulas (Italy, Spain, Scandinavia, Greece) and numerous islands (Ireland, Britain, Sicily, Sardinia, Corsica, Malta, the myriads of Croatian and Greek islands, and so on). So navigation was much easier, and moreover there was always another place or another country to go to, to exchange with, to practice trade, to compare, to learn from, etc. In Africa, from the coast, you have only the wide ocean in front of you, the Atlantic or the Indian Ocean, with places too far away to go for a long time. This is of extreme importance because trade means specialization, specialization means efficiency, and efficiency means growth. The continents with an indented coastline had much more facility to start trade and so to experiment economic growth. 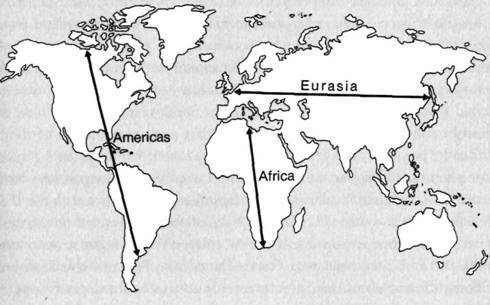 The third geographic explanation is given by Jared Diamond in his book about the Fates of human societies, that is the East-West orientation of Eurasia vs the North-South orientation of America and Africa. Along an east-west orientation, the climate is more or less the same, and plants, seeds, methods of culture and breeding can circulate, be imitated and adopted. It is much more difficult on a north/south orientation, that goes from temperate to arid to tropical to equatorial to arid again and temperate again, because the plants and the animals, and the methods of farming, are quite different. An example of that is the Bantu expansion, which stopped southward when it met Mediterranean climate in the extreme south of Africa, not adapted to their crops, and so leaving the land to the Khoisan pastors and foragers, and later, in the 17th century, to the Dutch. Between Lisbon and Eastern Siberia there are 14 000 km, while in North America, on an East-West axis, we find about 5000 km, same in South America, and in Africa the longest extension East/West is 7000 km, between Dakar and the Horn of the continent. 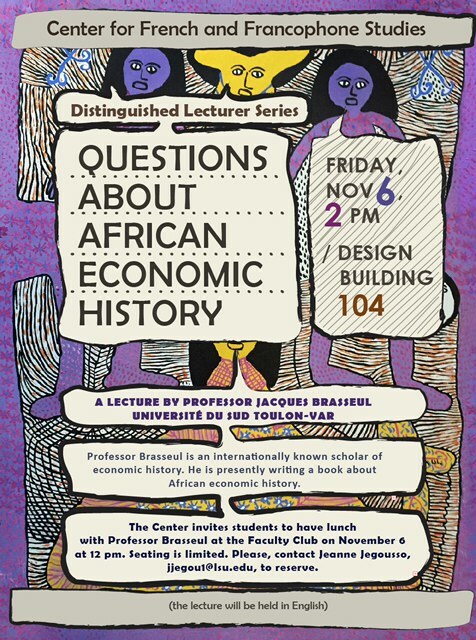 But what is astonishing is the fact that in spite of these natural obstacles the economic history of the last two centuries in Africa is a history of rapid development, of closing of the gap. Africa has been transformed totally since the end of the slave trade and realized in a short time what took centuries or even millenniums for Europe or Asia to achieve. One meaningful example of the change is the expectancy of life, 35 years in Africa in the 1950s, 57 now, a gain of 22 years; in the West the gain is 10 years, from 65 to 75, the difference between Africa and the rich countries is reduced from 30 years to 18. So the right question to ask is not why Africa is poor, but rather what explains this quick narrowing of the gap, accelerating in the last decades (the rate of growth in Europe is close to 1% or nil, it is around 5% in Africa, even 7% in 2012)? I would say it is the exceptional sense of adaptability of Africans that few other people can match, a faculty that we can observe everywhere else in the world, especially here in the Americas. 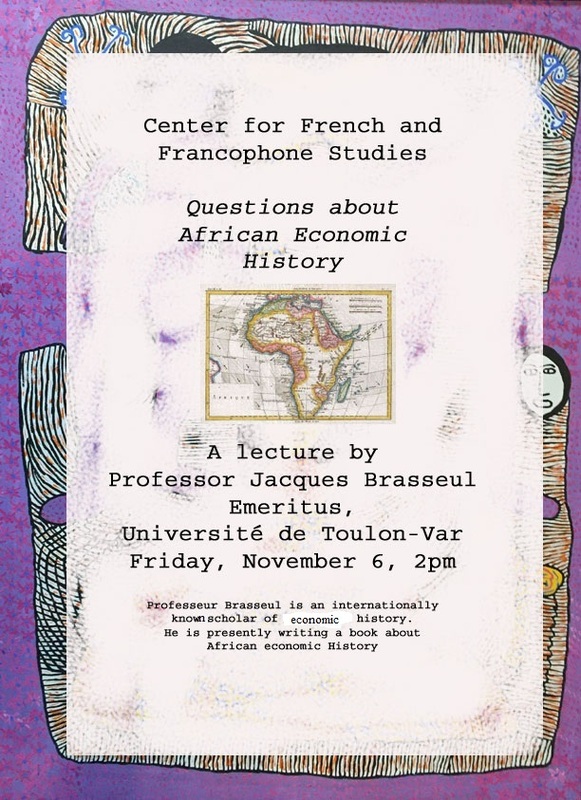 Livre, Histoire économique de l’Afrique tropicale, août 2016. This entry was posted on 21 novembre 2015 at 11:03 and is filed under Histoire. You can follow any responses to this entry through the RSS 2.0 feed. You can leave a response, or trackback from your own site. Les maux de l’Afrique : « La colonisation a eu une très grande responsabilité : c’est la cause originelle. Mais ce n’est pas la seule parce que s’il y a eu colonisation, cela signifie que des faiblesses africaines ont permis l’arrivée des Européens, leur établissement. » Aimé Césaire (2005) in Ecrits p. 780. Césaire a l’air d’hésiter entre idéologie et bon sens. Ce ne peut être les deux à la fois, c’est soit le retard initial, soit la colonisation. En général les causes précèdent les effets… La colonisation ne peut avoir provoqué le retard puisque celui-ci existait déjà auparavant. On ne peut créer ce qui existe déjà ! En réalité, c’est ce retard même qui a permis d’abord la traite, puis la colonisation, s’il n’avait pas été là au départ, aucun des deux n’aurait été possible. Plus encore, la colonisation, même si ce n’était pas son but, a entraîné l’Afrique dans la modernité, un peu comme l’explique Hegel à propos de Napoléon : sa conquête a poussé le reste de l’Europe à adopter les principes des Lumières et de la Révolution française, à abolir les anciens régimes monarchiques de droit absolu, même si lui-même était un dictateur et un guerrier, c’est la fameuse ruse de la Raison. Césaire n’est pas logique mais il est intéressant de remarquer dans cette citation un début de réflexion qui laisse leur place aux faits. Cela étant son idéologie est trop opposée à la vérité pour qu’il puisse aller au bout de sa réflexion. Très belle et intéressante synthèse d’une littérature que l’on imagine considérable. A conserver précieusement.